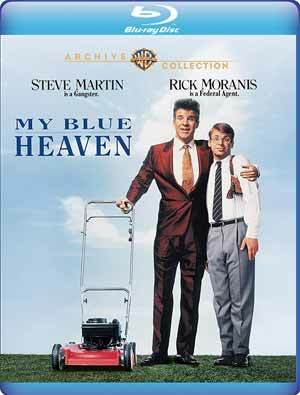 My Blue Heaven isn’t, in my mind, some comedy classic or anything but still a safe, inoffensive and enjoyable enough thanks in large part to Steve Martin’s larger-than-life performance and on-screen charms. Plot Synopsis: Vinnie Antonelli (STEVE MARTIN) trades the mob for the witness protection program and moves to a small suburb in California. But for Vinnie, old ways die hard. 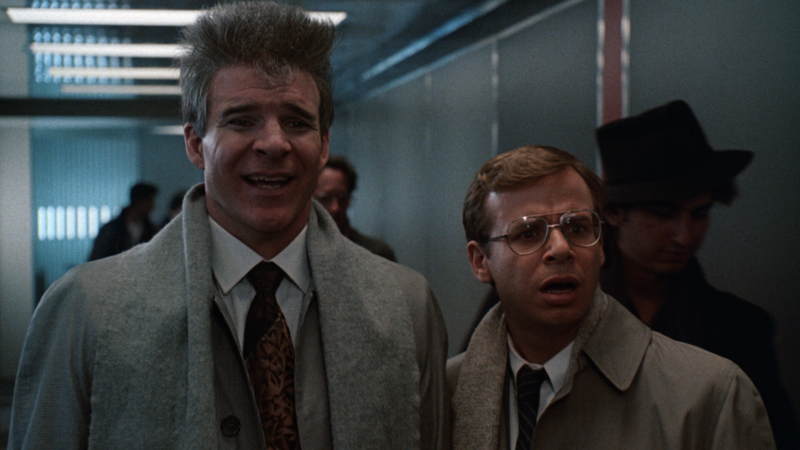 He becomes a challenge for Barney Coopersmith (RICK MORANIS), the FBI agent in charge of making sure Vinnie keeps a low profile before he can testify against his former mob associates. Barney, though, might actually be able to learn some things from Vinnie. That is, if Barney can keep him alive long enough. 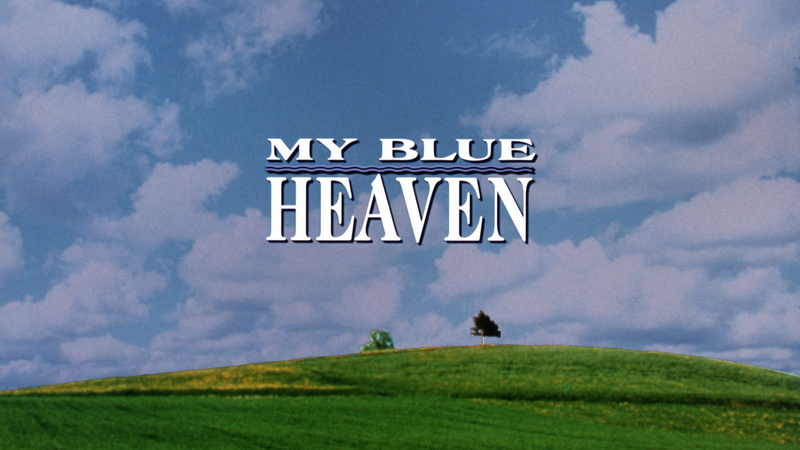 Quick Hit Review: My Blue Heaven is a movie I saw either in the theaters with my parents or rented on VHS around ’91 or ’92. I actually don’t remember much but thought I liked it a lot. Well, although it’s not bad, I did expect more from Steve Martin and Rick Moranis as a counterbalance, as the straight-man of the duo. Outside of a couple of chuckles, this wasn’t exactly a laugh-riot though I do like that it’s, in a way, a parody of Goodfellas even though it came out the same year (apparently Martin’s Antonelli is loosely based on Henry Hill). Now, while I didn’t exactly loved it, it is a nice, feel-good flick and worthy of watching. The only feature is the Theatrical Trailer (2:02; HD). Warner, though their MOD Archive program releases My Blue Heaven onto Blu-ray and is presented with a 1.78 widescreen aspect ratio (back cover erroneously states it is 1.85) and the video looks pretty good with relatively sharp detail and colors are generally bright. The audio meanwhile is a basic but adequate DTS-HD Master Audio Stereo track and considering the movie is probably 90% dialogue, it is perfectly fine with some modest depth with the score and some minor ambient noises. 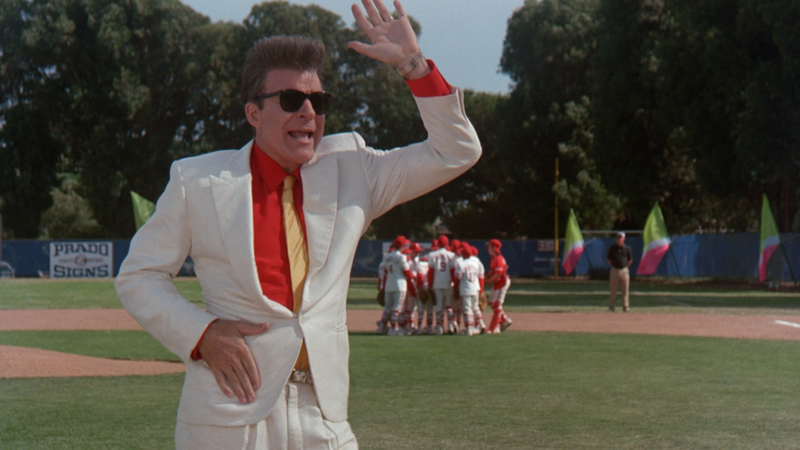 Overall, My Blue Heaven isn’t, in my mind, some comedy classic or anything but still a safe, inoffensive and enjoyable enough thanks in large part to Steve Martin’s larger-than-life performance and on-screen charms. The Blu-ray released by Warner Home Video has good video and audio transfers but only has a trailer.